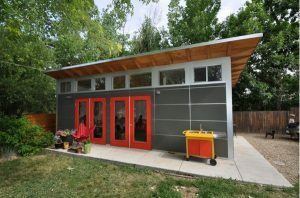 The overall success or failure of your shed construction project is going to come down almost entirely to whether or not you construct a proper foundation, and that you choose the right eco-friendly shed base material to help you get a perfectly level, stable, and strong foundation to build off of. There isn’t a structure created ANYWHERE (regardless of how well it has been otherwise engineered) that can stand for very long without a properly constructed and well thought out foundation. Choosing the right foundation material – and constructing that foundation properly – is a linchpin moment that you have to get right or everything else really isn’t going to matter. Thankfully, choosing the right shed base material is nowhere near as challenging a prospect as it used to be in the past. With 100% recycled plastic eco-friendly shed base material you get to utilize a very flexible, strong, durable, and reliable foundation material that will last for years and years – the perfect material to build off of regardless of how you intend to use your shed moving forward. At the same time, you still have to be really smart about how you install this shed base material. After all, utilizing top-quality plastic shed base isn’t enough to establish a solid foundation – it has to be installed properly so that you can build off of it from there. Before installing shad base, you also need to remove garden waste by using best plastic wheelbarrow. In an ideal situation, you would only ever be laying down eco-friendly shed base material on a plot of land that was already almost perfectly flat, perfectly level, and ready to accept the foundation that you are looking to install. Unfortunately, we don’t live in an ideal world like this and have to deal with a variety of different variables and factors that will all play a part in the stability and reliability of the foundation we establish. Even still, you’ll want to try and find the flattest, most level, and most “secure” stretch of land in your garden to build your shed on top of. This may involve moving a little bit of earth around (usually with a Rototiller or a shovel to flatten things out for you), and it may even involve setting your eco-friendly shed base down in an area that you weren’t thinking about putting your shed on in the first place. 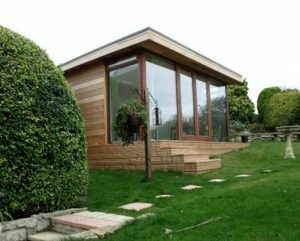 The beautiful thing about this eco-friendly shed base material, however, is that it is incredibly flexible and versatile. You don’t necessarily need a table flat or perfectly level stretch of ground to set this foundation on top of. This plastic is (to a degree) self-leveling which gives you a lot of leeway for installing your new shed on a stretch of grass rather than digging pylons or a solid permanent foundation. The second thing that you have to do is make sure that you actually install the shed base material you have invested in the way that it was intended to be installed. Eco-friendly shed base material made out of recycled plastic, for example, usually comes in a honeycomb like pattern that evenly distributes weight but also allows for amazing ventilation/drainage as well as the ability to become almost invisible on your property by supporting natural vegetation. This kind of material has to be installed properly on grass for it to work effectively, though. This usually involves cleaning and breaking the area that you are going to be installing it on and little more, but you will need to make sure that your shed foundation components are interlocked with one another and that their strength is really taken advantage of. Plastic shed base material like this is so highly recommended because of its flexibility and versatility, especially when it comes to drainage, ventilation, and ease of installation. Requiring nothing more than hand tools to get the job done, you can have your foundation installed on your lawn in about 30 minutes (if that) which is really going to speed up the actual construction of your shed as well. You’ll find plenty of different options to pick and choose from when it comes time to install your new shed in your garden. 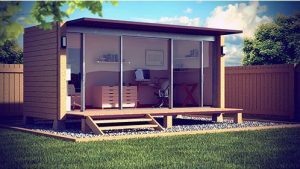 But as far as environmentally friendly and eco-responsible materials are concerned, it really doesn’t get any better than this eco-friendly shed base made in the United Kingdom out of 100% recycled materials. 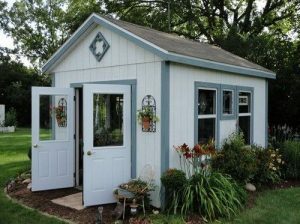 Inexpensive, strong, versatile, and available to be replaced, removed, and reformatted as often as necessary, this is a very smart investment in your shed construction project. They provide amazing ventilation and drainage, are tremendously strong and reliable, and because they can be interlocked with other components so quickly you’ll have the ability to extend – or shrink – your shed as much as necessary (whenever necessary) as well! About Fergus @plasticshedbase As a UK manufacturer The Shed Base Company’s mission is to become the UK’s leading supplier of shed bases made from recycled plastic for use in all types of garden buildings. Since 2013 we have provided over 6000 plastic shed bases to our customers across the UK and is quickly becoming the number one choice for Eco-Friendly shed bases.